FusionCharts for Dreamweaver (Designer) 1.0.0 - Download Win Apps. FusionCharts for Dreamweaver (Designer Edition) - web charts extension..
FusionCharts for Dreamweaver (Designer Edition) is a DW Charting Extension that can be used to render interactive & animated charts for web applications and presentations. FusionChartsDW is a cross-browser and cross-platform solution that can be used to deliver interactive and powerful flash charts. 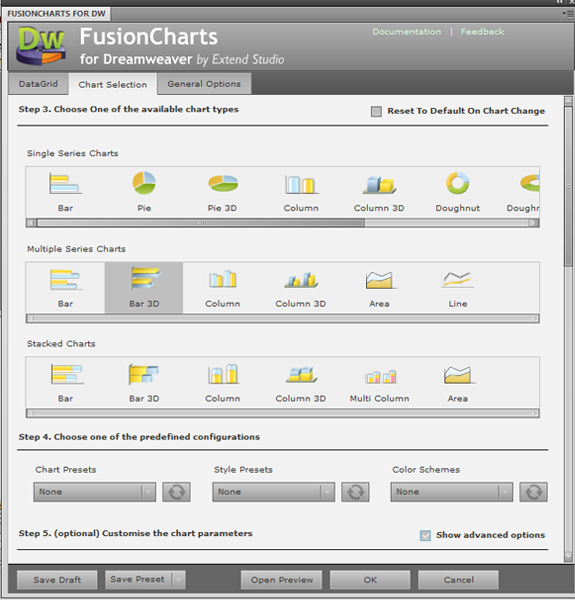 FusionCharts for Dreamweaver is a product developed by Extend Studio in partnership with InfoSoft Global.